Paul is a member of the firm’s Business, Startups & Emerging Companies, Food & Beverage, Licensing & Technology and Real Estate Groups. On a day-to-day basis, he provides the advice and services clients need to achieve their business goals. Paul’s focus is on business formations, business and real estate acquisitions and financings, and other commercial transactions. He represents both start-up businesses and established companies. 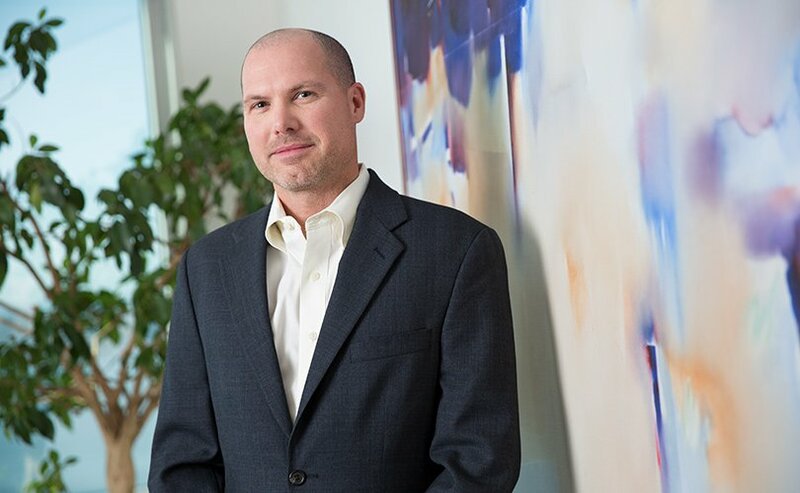 Paul has considerable experience representing technology companies in venture capital financings, joint ventures, and licensing and marketing agreements. Paul is also experienced in the purchase and sale of dental and other professional practices. Paul regularly serves as U.S. counsel for Canadian clients expanding into the U.S. and in cross-border transactions. Paul represents major Canadian financial institutions as well as a broad range of Canadian borrowers (or their U.S. subsidiaries) in cross-border loan transactions. Sale of Pacific Northwest phone directory publisher with 62 employees to Yellow Book USA, one of the largest independent publishers of print and online yellow pages directories in the U.S.
Sale of regional wireless and electrical contractor firm to publicly-traded WPCS International, a provider of design-build engineering services for specialty communication systems and wireless infrastructure. Represented management team in connection with the sale of transport and logistics company to The Jordan Company, a private equity firm based in New York City. Sale of Boeing airplane parts manufacturer to private investor. Sale of Pacific Northwest manufacturer of boats and catamarans to private investor. Represented publicly traded food manufacturing and distribution firm with acquisition of multiple specialty businesses in the Pacific Northwest. Represented lumber company in acquisition of Pacific Northwest storage shed manufacturer. Represented management team in acquisition of visual content firm. Represented leading developer of DVD based movie trivia games in multiple private placement offerings prior to sale to major film company. Represented provider of state-of-the-art idea management and intellectual property management solutions in venture capital financing. Represented provider of interactive video golf training lessons in private placement financings. Represented online provider of bioinformatics databases and tools in private placement financings. Represented developer of data protection and personal privacy solutions for smartphones in private placement financings. Represented organic fertilizer company in private placement financings. Represented investment firm in private placement offering of pre-IPO shares in GoPro, Inc. Represented regional digital imaging and visual content firm in building acquisitions, leases, debt financing, and other transactions. Represented Nintendo in software licensing, hardware acquisitions, and services agreements for its IT operations in the United States. Represented leading provider of patented and on-demand data services in connection with customer agreements with major retailers and manufacturers. Represented Seattle brewery in connection with distribution agreement with national distributor. Office leases for high-tech companies and start-ups. Office and warehouse leases for facility services, asset management, and office relocation company. Warehouse and showroom lease for national floor tile retailer. Office and laboratory lease for analytical testing and consulting firm. Office lease and clean room facility for pharmacy and medical supply services company. Building and ground leases for shopping centers. Building and ground leases for auto dealers. Waterfront property and dock lease for boat retailer. Leases for cellular phone transmission towers. Medical and dental office leases. Regularly represent Pacific Northwest regional banks and private lenders in commercial loan transactions. Publicly-traded food manufacturing and distribution firm. Leading national aerospace-related transportation firm. Senior living facility with eight locations in multiple states. Developer of 150 multi-family residential unit project. Developer of business park located on I-5 corridor. Owner of Issaquah, WA shopping center. Developer of 900 self-storage unit facility. Mexican restaurant franchise with ten store locations. Manufacturer of technical outdoor apparel and accessories. International remote sensing company specializing in airborne and marine survey projects. Regularly serve as U.S. counsel for Canadian clients expanding into the U.S. and in cross-border transactions. Represent major Canadian financial institutions as well as a broad range of Canadian borrowers (or their U.S. subsidiaries) in cross-border loan transactions. Paul is a life-long Washington resident and lives in Kirkland, Washington. Paul joined Ryan Swanson in 2000 and in his spare time, Paul enjoys sea and whitewater kayaking, skiing, and hiking. After college, Paul spent almost a year working on the successful campaign of a U.S. House candidate from Washington State. Paul spent a second year as the congressman’s aide in Washington, D.C. following the election before going to law school. One of Paul’s most important responsibilities was assisting constituents from Washington State when they encountered special problems with federal agencies and government red-tape. Paul continues to help clients resolve regulatory and other issues in his work as an attorney.